Localytics, one of AppsFlyer's integrated partners, is a marketing and analytics platform for mobile and web apps. Localytics app analytics provide cohort-based retention analysis, funnels, customer segmentation, and real-time analyses to uncover groups of users with the highest loyalty rates and lifetime value. Localytics app marketing brings marketing automation services to apps by tracking the long-term success of customer acquisition campaigns and delivering rich and actionable in-app and push messages to relevant customers when they can have the greatest impact. Enter "Localytics" in the search field and click on its logo to open the Localytics configuration window. The Localytics configuration window includes 4 tabs: Integration, Tracking link, Data enrichment and Permissions. Click on the items below to read about the tabs setup. 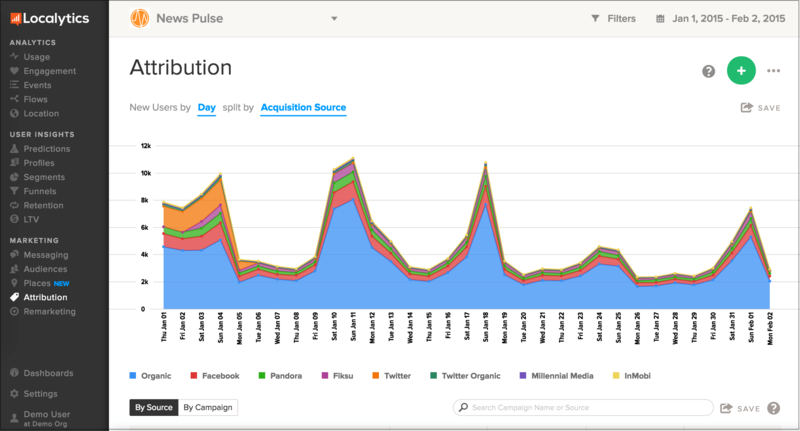 Localytics connects with AppsFlyer via a unique Attribution ID. If you don't already have it, you must obtain it from Localytics to continue with the integration or follow the steps below. Configure Localytics in AppsFlyer’s Dashboard. AppsFlyer can send automatic postbacks to Localytics following user installs. Use this section to define sending these postbacks. Select Events attributed to any partner or organic to send postbacks for any user that downloads the app to Localytics. Tracking Links are not available for Localytics. Permissions are not available for Localytics. 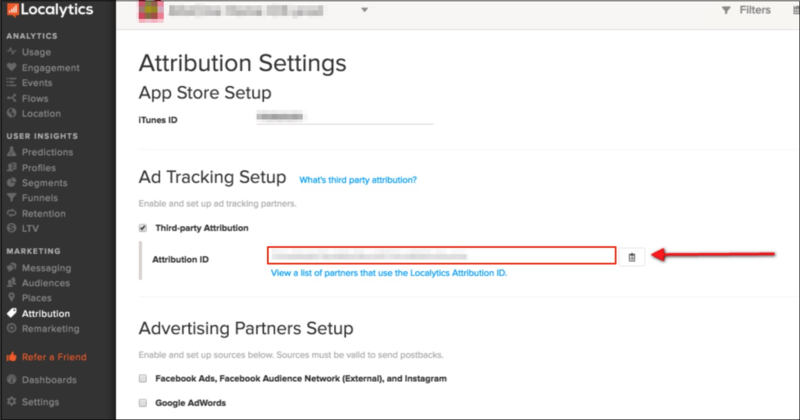 Go to the Localytics Attribution Settings screen and enable Third Party Attribution in Localytics to see AppsFlyer data.